We were following Jesus and He led us to the pool of Bethesda. A crowd gathered quickly, but I jostled myself right up front. We stood waiting, we pretty much knew something big was going to happen. And it did. I can never be the same, after what I saw. This is my simple story. So much was happening, and as I watched I realized that so much escapes me. I can’t take it all in. But when I decide to watch Jesus, I quickly become aware of what is important, what is real. It starts to make sense. The chaos of the moment becomes calm. At least it does when He takes charge. Finally, all are watching Jesus, they become quiet wondering what He will say. We’re all pretty curious. We see Jesus as He walks directly into this ugly field of suffering people. He doesn’t hesitate or flinch. He seems almost like He is at home. Oh my! Just to have a religious teacher visit Bethesda is rare. They never come. And today is the Sabbath (and a special feast day at that) and that alone makes it impossible. And yet Jesus is here, and that somehow is wonderful. Jesus stops to talk with a man who is an ‘old-timer’ here. Someone behind me mentioned that he had been sitting here for almost 40 years, and that is a long, long time. Jesus speaks. Everyone listens. “Do you want to get well?” And of course, some groan and mutter– “of course he does!” But Jesus waits quietly. “Sir, when the water is stirred, I don’t have anybody to put me in the pool. By the time I get there, somebody else is already in.” The man explains. He has an excuse that seems like a reason. Nothing has ever gone right– ‘I always miss out, and I can’t find anyone to help me.’ And I suppose that this is the world of the blind, the crippled, the paralyzed in Israel. They are confined to Bethesda, with the weak hope of finally being healed. I don’t think that this is how it was meant to work. This man was horribly discouraged. 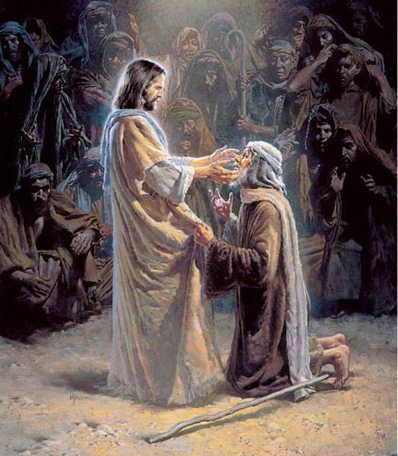 It was then Jesus said, “Get up, take your bedroll, start walking.” And this very crippled man was healed on the spot. No ‘hocus-pocus’, no incantations, no magic dust or rubbing of sacred bones. Nothing. He was healed by a few spoken words. I cannot emphasize my own astonishment enough. It shook all of us to the core. We were all stunned, and undone. The crowds, and all the sick and the paralyzed just stopped and stared. There are so few moments in life, just like this. We just looked at each other sort of stunned. The ramifications of what we all had witnessed were staggering. Shocked, we turned to each other, and a great fear fell on us like a heavy blanket. The crowd did not disperse, we were completely shocked, and pretty much speechless. For years that sense of awe has never left me. I don’t really listen to the scorners anymore– they simply have no idea. I heard that some of His disciples wrote about what we saw that day. It completely changed my life. I was never the same after that.